Remember Tahoe Warrior? A lot of people do, because he's crossed a lot of paths in the last 12 years. 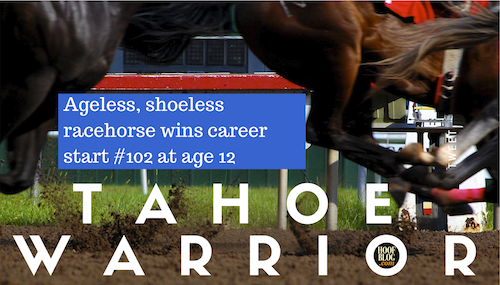 The still-got-game Thoroughbred gelding chalked up his 19th career win on Thursday, in his 102nd career start. Today Royal Kerckhaert Horseshoe Factory of The Netherlands, the world’s largest independent horseshoe manufacturer, announced that it had "acquired the Diamond® Farrier division of Apex Tool Group". 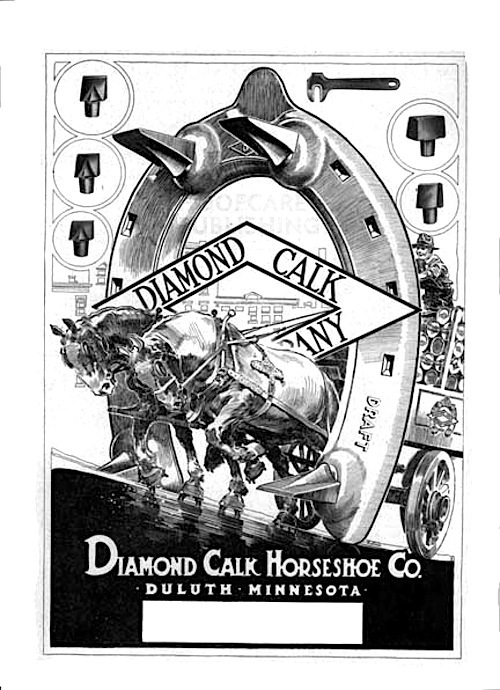 Kerckhaert's US distributor, Farrier Product Distribution of Shelbyville, Kentucky will begin distributing Diamond tools and horseshoes in less than three weeks, on August 1, 2015. 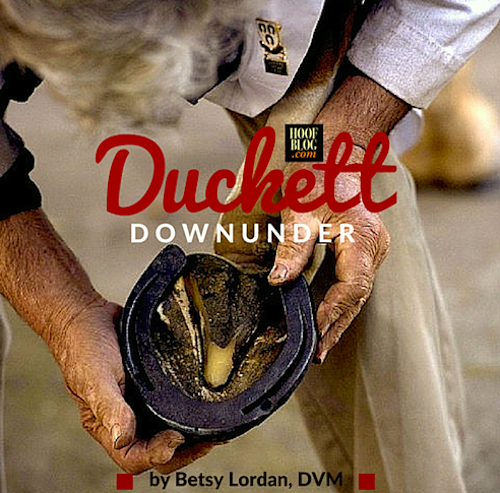 The Professional Farriers’ Association of New South Wales, Australia recently hosted farrier legend, Dave Duckett, FWCF for a series of educational clinics and a horseshoeing contest. Do racehorses have to go through customs and fill out those little declaration forms? 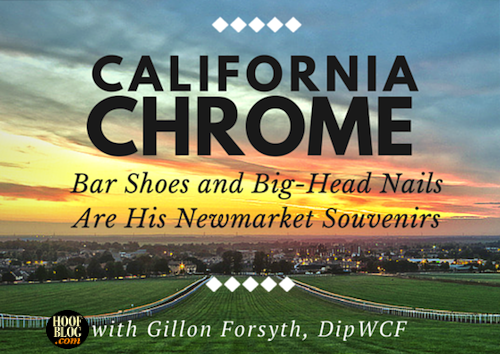 If so, reigning Horse of the Year California Chrome had better think twice when he lands in Chicago on Tuesday, should he check off the “nothing to declare” box. He’d better hope the customs agents don’t look at the bottom of his feet.